Rumors have been swirling that unannounced role-playing game Persona 5 is coming to the PS3. A Sony website slip up fuels those flames. Atlus staffer Shoji Meguro gives a "Creator Interview" with Japan's PlayStation.com — no biggie. Persona 4 was a PS2 title, and the series does have a long standing relationship with Sony platforms. Persona 5, however, has not been announced. 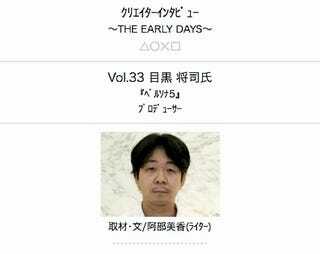 At the time of posting, Sony's cell phone site lists Meguro as the producer of Persona 5. This could certainly be an error, just as that recent pachinko report listing Person 5 as a PS3 title could have been an error. Or maybe, just maybe it's a kwinky-dink?